From bricks to clicks and hybrids. Estate agents have certainly changed over the years. 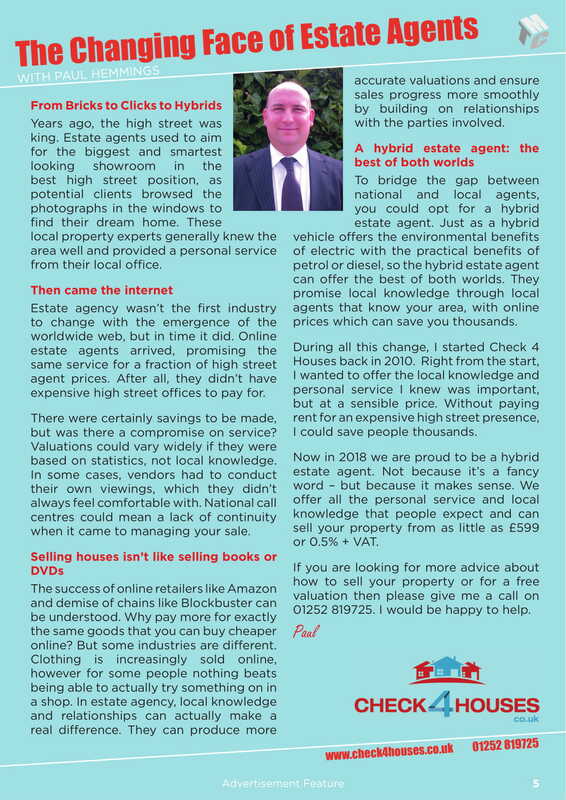 Check 4 Houses founder and director Paul Hemmings spoke to Fleet & Farnborough Connection magazines about what a hybrid estate agent means. Can you really get the best of both worlds? Click on the image to read the full article and find out. 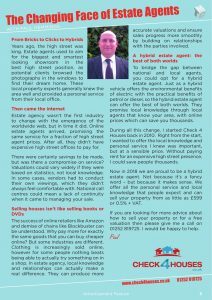 For any more information on how to sell your property or a free, no obligation valuation of your house, flat, apartment or bungalow please give us a call on 01252 819725 or contact us. We can sell your property from as little as £599 or 0.5%+VAT, saving you thousands compared to high street agents.